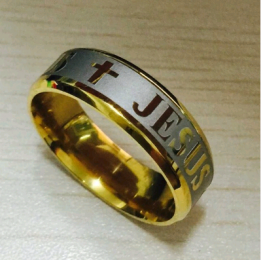 If God has a special place in your heart, then this ring is just the right for you. Rings have the significance of eternal promise and there is nothing better than having faith! This ring will help you feel peace and will be right with you when you have to make big decissions and when you are feeling low. Be a good believer and show God the respect and time he deserves and forgive those who have sinned you. This ring is to keep you better and to make you a greater person than you were yesterday. It represents a great gift for believers and for those who are feeling low and need God's help.